Who is the smart money backing at this year’s Cheltenham Festival? 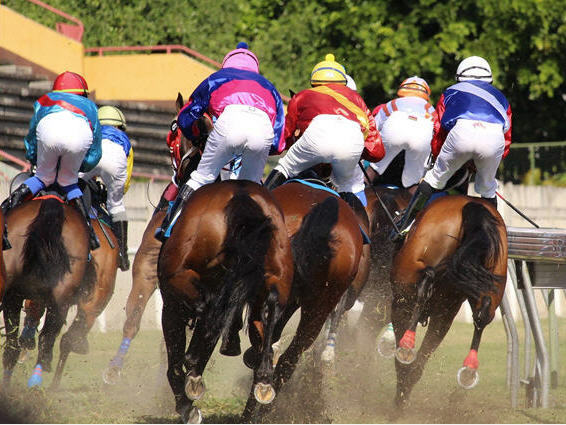 With New Year all but forgotten, the jump season is now well and truly underway, and horse racing enthusiasts and gamblers can now settle down and look forward to one of the biggest events on the National Hunt calendar. The Cheltenham Festival runs from 13th to 18th March, and with 28 races being run over four days, the action will come thick and fast. Of course, the showpiece event will be the Cheltenham Gold Cup, which takes place at 15:20 on the final day of the festival. With a total purse of more than £625,000, the race has attracted some 38 entrants. The Gold Cup is one of those races that attracts bets from even those who are only occasional gamblers, so let’s run through some of 2018’s festival favourites to see where the smart money is being wagered this year. The bookmakers’ favourite at this early stage is Might Bite. The nine year old gelding, trained by the effusive Nicky Henderson, looked unbeatable at Kempton on Boxing Day, and rewarded the bookies’ faith, winning by a length at 6/4 on. Henderson is full of confidence, but at the same time knows that Might Bite cannot afford any slip ups. The major bookmakers are currently quoting the horse at around 3/1, with the odds steadily shortening. So if Might Bite is the horse for you, it’s better to get your bet down sooner than later. Last year’s winner will be back with a point to prove. Some say he won the 2017 Gold Cup by default, after the early leader and favourite came a cropper at the penultimate fence when well clear. Veteran trainer Jessica Harrington says the horse is fitter than ever. Can Sizing John be the first horse to win back to back Cheltenham Gold Cups since Best Mate in 2004? Bookmakers have him at 5/1 to do so. While Might Bite and Sizing John have dominated the discussions among many pundits, bookmakers are looking increasingly interested in Coney Island. The impressive six year old, trained by Eddie Harty, took almost a full year out with a bruised foot, but returned to the action in style over Christmas, leaving all others in his wake at Leopardstown. Initially viewed as a fun choice for an each way bet, there is a growing wave of opinion that he could be a genuine contender, and bookmakers are now quoting him at 8/1. There is a well-known rule that those betting on any sport should always use their head, not their heart. But for those who don’t like to play by the rules, Coneygree is where the emotional money will be going. In 2015, the bay gelding became the first novice to win the Gold Cup in over 40 years. Injuries have prevented him from running in subsequent years, but despite undergoing an operation last month, he will at last take to this year’s field. Could the 11 year old defy all the odds and hit the headlines again? The head says no, the bookmakers say 40/1, but the heart says it is worth a pound or two.